Did you know that falling asleep quickly, sleeping well, and waking up feeling rested are things you can work on all day long to see immediate improvements? And nope, I’m not gonna sell you some miracle pill. You don’t need alcohol, drugs, or sleep aids to get better deep sleep. And even those don’t help you get better sleep- it might seem like a quick fix and you might fall asleep faster, but your sleep quality will suffer. It’s a fake sleep. 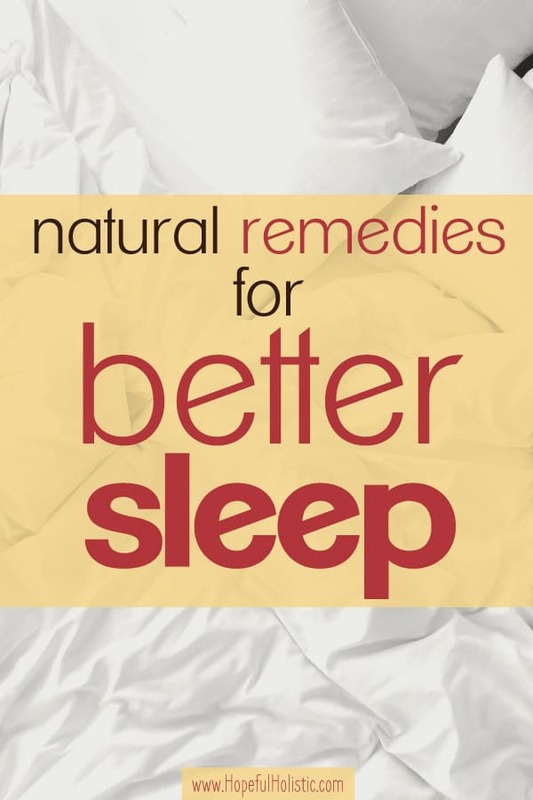 Thankfully, there are numerous all-natural ways you can make sure you’re getting the restful sleep you need! Who knows, maybe you can even sleep better tonight! Read on to find out how to get better sleep. Before I was diagnosed with Lyme’s Disease, I had serious fatigue and thought I just wasn’t sleeping well. I did research and tried loads of stuff to fix it. Now I know how that my sleep was a symptom and wasn’t all that was going on, but I’m thankful for my pre-diagnosis time. 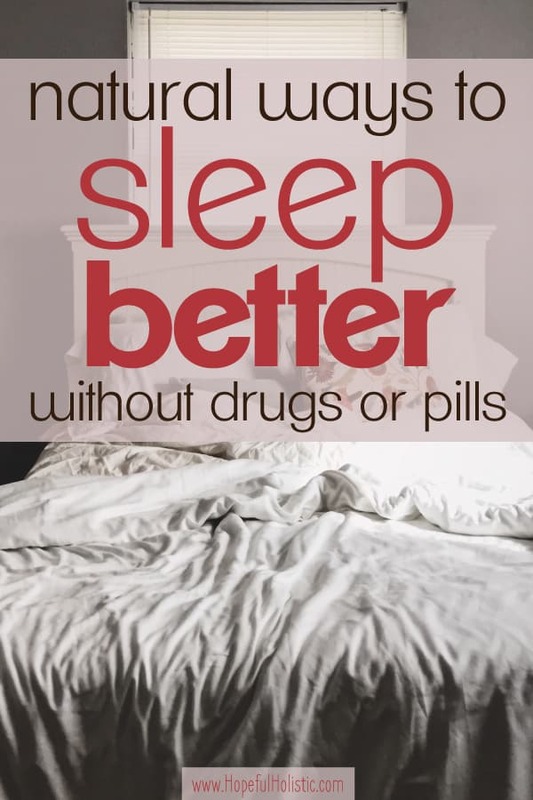 It gave me a reason to find loads of ways to sleep better- methods that really work! This isn’t like those pills that promise better sleep but also have in tiny writing, may include the risk of headaches, death, insomnia, terrible pains, death, and tremors. Nope. It’s lasting, healthy, and good! Of course, these remedies didn’t work quite as well for me as they could have because of my Lyme symptoms, but they did help. (I know because I had two different Fitbit-type devices at the time and saw the differences it made). 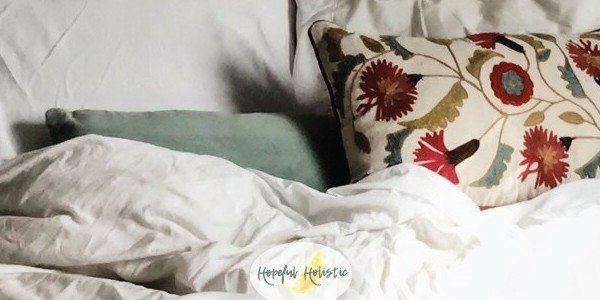 I’m looking forward to finally getting over Lyme and fatigue, but in the meantime, I’ll be happy to pass on what I’ve learned about ways to sleep better immediately! Please note that I’m not a doctor. If you use these methods and they don’t give you the results you want, and if you think there might be something else going on that’s keeping you from sleeping or getting good rest, please see a functional health doctor! There could be loads of other things happening in your body, such as chronic illness, heavy metals, viruses, and bacteria that could be affecting your sleep. There are numerous benefits to getting more sleep and quality rest. A better night’s sleep is important first because this is the time your body needs for immune repair and healing. Sleep is when your brain gets to detox and drain, which means that sleep is super important if you’re trying to detox. 90% of brain detoxing and draining happens while you’re asleep, and toxins just can’t leave the brain if you aren’t sleeping well. Sleep deprivation does the same damage to your body as chronic infections. And not only does chronic sleep deprivation make it harder to function and stay healthy, but it’s also linked to early cognitive decline and pre-Alzheimers. Sleep is one of the main components to getting healthy. If you aren’t eating well, exercising, and getting enough sleep, it’ll be hard to see the results you want in your health journey. Honestly, lots of these suggestions for getting better sleep are things that a lot of people know about, but just choose not to do. It takes intentionality and a desire to change, but it is possible to make good habits that will benefit your sleep and your health! Making lifestyle changes gets easier as you go, as they become habits as you see the good it does for your health. Try the following suggestions, find what works for you, and keep going with it. It’s variable, but generally, adults need around 7-8.5 hours of sleep each night. Kids need more. Older people might need a little less, but as of right now, it’s not known whether that’s because they truly don’t need the sleep, or just because they don’t have optimal health and their health isn’t letting them sleep as much as they might need. For most people, it’s best to go to bed around 10 pm and wake up around 6 am. But each one of us is different. Find out what amount of sleep you feel best with, and stick with that! Start out slowly with these changes- especially going to bed earlier. If you’re used to going to bed late at night, start aiming for 15 minutes earlier at a time. Getting better sleep isn’t something you only work at after the sun goes down. Here are a few tips for things you can work on all day long so that you sleep better at night. Try out a couple of these remedies to sleep well at night and see how you feel! Sleeping well starts with your very first choices of the day. Food choices and meal timing can have an immense influence on your circadian rhythm! For a diet optimal for sleep, eat protein and fat at breakfast, have a substantial lunch, and a light dinner (where you can include more carbs than other meals). Eating a small dinner can also help you fall asleep faster. For many people, breakfast really is the most important meal of the day! People who stay up late and don’t get good sleep might not wake up hungry because their cortisol production is off. But skipping breakfast can lead to a higher BMI, and puts your cardiovascular system at risk. Again though, each of us is different. There are some people who can skip breakfast and feel better that way. But for everyone, it’s beneficial to reduce the sugar and processed foods you eat. This is the best thing you can do if you’re looking for food for good sleep. Your digestive system is more tuned to eating when it’s light out. To give your body the best chance at a restful night of sleep, give yourself a 12 hour fast at night. Healthy people can fast longer- up to 16 hours. There are tons of benefits to intermittent fasting, and better sleep is only one of them. If you want to give it a try, have a big breakfast, a snack, a substantial lunch, and another snack before fasting. Start off by fasting from around 7 pm to 7 am. Breathing exercises can help a ton if you’re dealing with anxiety and stress. And in turn, dealing with these things throughout the day can help you sleep better at night! Just give it 5 minutes twice a day. Find somewhere calm to sit down, clear your mind, and focus on deep, long breaths. There are also apps that can help guide you through a mindfulness and breathing exercise. This is a great natural remedy for insomnia and anxiety. Beyond just de-stressing, deep breathing helps your gut and brain to drain, and it helps reset your microbiome. Definitely worth 10 minutes a day! At night, there are a couple of things you can do that are vital for better sleep. Read on for sleep tips on blue light, how to sleep all night long, fixing sleep apnea, and more! These tips are all easy-to-implement home remedies for insomnia and to help you fall asleep quickly. Wi-Fi and the electromagnetic interference (or EMI- also called electromagnetic frequency, or EMF) that comes with it can disrupt sleep. Try turning your Wi-Fi off at night, (you can use a timer) and keep your phone in airplane mode overnight. If your phone needs to be on so that you can be reached throughout the night, make sure you put it somewhere at least three feet away, in order to reduce EMFs. Further is better. You can use an Aires Defender Pro as personal protection to minimize the harmful frequencies that are hitting you- try putting a Shield Pro by the Wi-Fi, and you can even use an Aires Guardian under your bed to improve sleep and to protect the whole area. If you’re going to try sleeping with Wi-Fi off for the first time, your body might need to detox from your Wi-Fi exposure. Some people experience insomnia for a while when they first try sleeping without Wi-Fi. But stick with it- your sleep will improve! If you haven’t heard of it before, human design is a revolutionary personality tool that explains your unique energy blueprint. There’s a TON of information on your human design chart, but one of the most foundational things you can learn is your type. There are 5 different energy types in human design: Generators and Manifesting Generators, both of which need to tire themselves out and get exhausted to sleep well, and Projectors, Manifestors, and Reflectors. These three types need to go to bed before they’re tired if they want to sleep well. 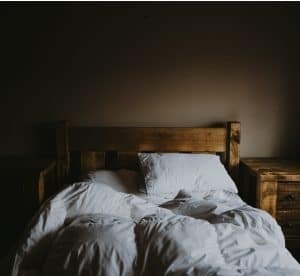 The world is split pretty much half and half between these two ways to sleep, so it’s no wonder that there’s so much conflicting information out there! What works for one type might be awful advice for another type. To learn more about your human design, to help you get better sleep, align with your authentic self, check out this post on human design: what it is and how it can change your life. Artificial blue light -the glow that comes from TVs, tablets, phones, and other screens- is a form of EMF, and it can affect your sleep and much more. Melatonin is also inversely related to cancer cell activity. Suppression of melatonin can put you at a greater risk for cancer. A note on melatonin supplements– sleep aids and hormones might increase non-REM sleep, but decreases REM sleep. Taking hormones can also teach your body to naturally make less of its own, making your sleep dependent on those supplements. Melatonin supplements might be necessary, under a practitioner’s care. In my opinion, though, it’s a better option to naturally support the melatonin output your body already produces. There need to be natural cycles. Blue light exposure at night can also shift your circadian rhythm for up to 48 hours. This means you’re effectively making yourself jet-lagged each time you’re exposed to blue light at night! Around 5 pm, or whenever it starts getting dark, try to reduce the blue light you’re looking at. You can do this by installing apps on your phone (Night Shift for iPhone or Blue Light Filter – Night Mode for Android) and computer (f.lux). These apps automatically dim blue light at night. Some operating systems (including Windows 10) have their own settings for this now too, so that’s cool. Just search “night light” in your settings. Better yet, try not to look at your phone at all right before bed! I’m trying to get out of the habit, even though I have the Night Shift app. After dark, and if you wake up in the middle of the night, try not to use your normal full-power lights. Too much light at night can upset melatonin release, which only releases when it’s getting dark. There are lots of good night lights that won’t blind you or signal to your body that it needs to wake up. (This is because of the brightness and the artificial blue light, which causes a cortisol spike- which should only happen in the morning). Related: What is blue light and why should you protect yourself from it? And I personally enjoy using my salt rock lamp to give a warm glow to my bedroom at night. Candles are another good option (just make sure they’re 100% beeswax candles for a non-toxic option- breathing in toxins ain’t gonna help no-one). Black-out curtains are a lifesaver too- and not just for people who work night shifts and need to sleep during the day. There’s light pollution all around -and neighbors who stay up til ungodly hours- and even a full moon can keep you from optimal sleep. Black-out curtains like these ones (which come in lots of different colors and styles!) can help make your bedroom as dark as possible to optimize your sleep. Note that these curtains aren’t organic (very few are) so make sure you unwrap and leave them outside in the sun for a few hours when you buy them. This will let the curtains off-gas from any chemicals that might have been in them. For more on toxins, you can check out my guide here! Besides reducing the light you’re exposed to in the evening, keeping your room cooler can also signal to your body that it’s time to rest. Try keeping your bedroom at 65 degrees or lower for better sleep. If you’re breathing in toxic fumes all night while you’re trying to sleep, you won’t sleep as well. Makes sense, right? Well, one of the biggest culprits to overnight toxins is your mattress. Mattresses are usually soaked in flame retardants and other chemicals. Loads of ick that you don’t want to be breathing in for 8 hours every night. Your mattress is especially toxic when it’s new, but mattresses can off-gas dangerous chemicals for up to 4 or 5 years after you buy it! If you’re really serious about getting better sleep and cutting out the toxins, getting an organic mattress is one of the best things you can do for yourself. I recommend this mattress. It has no smell out of the box, and uses certified organic materials so that your sleep can be worry-free! Also, I haven’t seen a better price anywhere for something this good! For more on reducing toxins, you can check out my guide here. According to Ayurvedic medicine, it’s best to embrace a restful, less active schedule after 6 pm. Your body needs to wind down before bed. Ayurveda also suggests working out in the morning, between 6 and 10 am. It also says you should eat your biggest meal before 2 pm, and go to bed by 10 pm. Modern medicine is slowly confirming that these recommendations really are beneficial for most people! I’ve found prayer/meditation to be a great way to clear my mind and reduce anxiety. I love praying with my husband before we go to sleep. Just getting things off my mind and my heart that might have been weighing on me all day -or longer- can help with feeling more restful and ready for sleep. There have been clinical studies showing that the peace of mind that comes from praying sticks around for months and has long-term benefits! This is a completely free natural remedy for insomnia and anxiety. So even if you aren’t a “praying person”, why not give it a try- you might be surprised at how powerful it is! If you’re interested in other ways that your faith should inform your health, you can check out this post on why Christians should be the healthiest people on the planet (and why we aren’t!). Did you know that your digestion and gut have a circadian rhythm too? Try not to eat after 10 pm, since doing so causes your pancreas to produce insulin, which can disrupt your natural cycles and affect sleep. Stop eating even earlier (at least two hours before you go to bed) for even better sleep. And since your digestive system is more tuned to eating when it’s light out, try to make breakfast and lunch your biggest meals. A few exceptions to this rule can be found in the next tip! If you find yourself wide awake in the middle of the night for no reason, it can be because your body is trying to tell you something. If you’ve gone to bed at a good time (around 10 pm) and find yourself wide awake at 1 am, it’s possibly because your blood sugar levels are low. Try having a nighttime snack with complex carbohydrates. This can be foods such as squash, oats, whole wheat, or small amounts of honey, to keep your blood sugar levels balanced. If you’re waking up between 3 and 4 am, it might be due to your liver or gallbladder. Some common binders are chlorella, activated charcoal, or clay, and you can take a capsule either when you wake up or before you go to bed. It’s best to take binders apart from any other supplements, since they can reduce their effectiveness. Binders are especially useful for sleeping better if you’ve had alcohol that night! Oftentimes, after drinking, your body will wake up after all the alcohol is out of your system. And passing out in bed isn’t actually restful sleep, so try not to drink too much. Of course, there are many other reasons to reduce your alcohol intake too- see some of the reasons in this post: Is alcohol toxic? If you deal with sleep apnea and that’s affecting your sleep quality, you might be using one of those masks to help with snoring. Unfortunately, these masks only cover up one minor symptom, and they don’t treat the underlying issue. What are the underlying issues? One of the biggest causes of sleep apnea is weight gain. You gain weight on the inside of your neck too, which affects breathing. Because of this, being overweight causes sleep disturbances, and a lack of sleep can make weight loss difficult. It can be a vicious cycle. Losing weight is outside the scope of this article. (I’ll have a post on it soon- make sure you’re signed up for my newsletters so that you can know when it comes out!) But if you want to fix your sleep apnea, one of the best things you can do would be to get down to a healthy weight. Other things you can do to fight sleep apnea includes cutting out alcohol and smoking, and stop using sleep aides. If you have congestion or acid reflux, look into natural treatments for those. You can also try humidifying your bedroom at night to help you breathe easier. Also, try sleeping on your side with your head propped up slightly. Finally, diffusing eucalyptus essential oil can help you breathe better too if you have sleep apnea or a stuffy nose or throat. Eucalyptus is just one of the great essential oils you can use to sleep better! I loooove using essential oils for destressing and restfulness. Aromatherapy is a powerful tool, because just smelling something sends it straight to your brain and blood system, and you can enjoy the benefits right away! Some of my favorite essential oils for promoting rest are lavender, chamomile, and neroli. Applying magnesium topically before bed is a way to reduce insomnia and help you feel relaxed. Magnesium promotes a regular sleep cycle, so that you stay asleep longer and don’t wake up quite as often. I’ve found that most magnesium sprays are a little too strong for me and can tend to itch and sting sometimes… Booo. But I absolutely love this Good Night Lotion! Just rub some on your arms or legs before bed. I love it because it’s like a body butter and silky smooth, but also has all the aromatherapy benefits of lavender and perks of magnesium! Another way to enjoy the calming benefits of magnesium is by taking a bath. If you’ve had a busy, stressful day, taking a bath is a fantastic way to give your body the rest and care it deserves. When coupled with relaxing essential oils and magnesium salt, taking a bath is also a powerful tool for detoxing and calming down for better sleep. 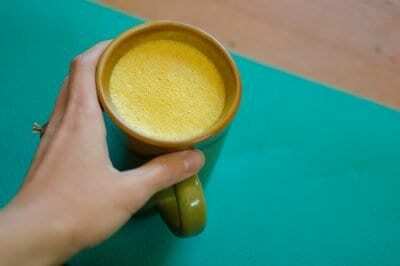 Also called turmeric tea or turmeric milk, golden milk is a great evening beverage. I love it at any time of day, but it can help you feel calm and ready for bed. You can buy golden milk mixes, but it’s super easy to make yourself! I usually make mine vegan using almond milk- the recipe is included in my guide at the bottom of the page! There are loads of other health benefits to turmeric too- you can check those out here. While stretching is good for waking up, yoga can also be great for relaxing and winding down before bed so that you sleep better. Just doing 5 minutes before bed can help you de-stress, relax, and fall asleep quickly. Legs up the wall. This pose promotes calmness, helps with aches and pains, and gives your heart a break from working so hard. To do it, just lay face-up with your legs vertical on a wall! Stay there for at least a minute and concentrate on your breathing. Butterfly pose. Lay back in bed with your knees bent, then just bring your knees down, with the bottoms of your feet touching. Let your hands rest palm-up by your sides. Child’s pose. Sitting on your knees, bring your arms and torso in front of you until you are laying down over your knees. Rest your forehead on the bed, and focus on slow breathing. Also- exposure to toxins can make it harder for you to get good sleep! Make sure the mat you’re using is non-toxic. Lots of yoga mats use PVC, latex, or other harmful chemicals. I use this one to make sure I’m not breathing in toxins when I’m doing yoga. Disclaimer: You might have gone right to this section and skipped the ideas for lifestyle changes. Supplements might give you a short-term fix, but you shouldn’t rely on them. Read the tips above and then come back here! Work on fixing your lifestyle first. However, supplements are great if you need help sleeping every once in a while! These natural sleep supplements can really help you get the sleep and energy you need. Elderberry Nighttime Syrup– besides helping boost your immune system, balancing blood sugar, reducing inflammation, and tasting wonderful, this syrup also provides herbal support for restful sleep- all without feeling woozy! I also love their Goodnight Lotion, which uses magnesium to help you fall asleep quickly and sleep well. Hydrolyzed Collagen– Collagen does loads of good stuff for numerous bodily functions. It improves skin, joint, and gut health (I take it to help with my leaky gut) but also keeps your appetite in check, supports your metabolism, and promotes deeper sleep! You can mix it into your water and won’t taste it- but you will feel the benefits! Rhodiola– This is an adaptogen herb that helps to balance your body systems. The benefits of Rhodiola include over 190 studies done on this plant, which show how it can help with reducing anxiety and stress, increasing energy, and promoting healthy sleep. It also improves mood, memory, and mental clarity! Spirulina– This 100% organic superfood is amazing in loads of different ways- it increases energy and stamina, promotes healthy sleep, reduces stress and anxiety, and boots your immune system! Spirulina contains omega 6 as well as numerous vitamins and minerals that are massively beneficial to anyone that takes it. A note on buying supplements online: I don’t recommend buying supplements off of Amazon. This is because you can’t really know who the supplier is, and there have been many cases of companies buying up good supplements, then emptying out the bottles and refilling them with their own (sub-par) pills before resealing them and selling them for profit. Yikes! That’s why I always go for Perfect Supplements when I’m buying supplements online- I trust them, their methods, and their ingredients. They never use fillers, artificial ingredients, or anything but the highest quality organic ingredients from trusted sources. Try your best to get up at the same time every day without being sleep deprived. A set schedule is incredibly important for sleep optimization and brain detoxification. Get up at a set time, and if you’re tired, just stay tired and go to bed on time that night. Don’t just lay in bed, get up when you wake up. This way, you can get tired and then go to bed at the right time too. Try to avoid loud, blaring alarms. You should allow your body to wake up gradually and easily. One great way to do this is with a wake-up light, which first uses a sunrise-like light and then a gentle alarm to help you wake up naturally. I’ve been using my wake-up light for a few months now and it is tons better than any noise-only alarm I’ve used! There are way more expensive ones out there but this one works just fine for me. And if you find that you really need a loud alarm to wake up at all, that might be a sign of sleep deprivation or other chronic issues. Now you know that it’s good to reduce bright lights when it’s time to go to bed. Inversely, waking up is a great time for bright, natural light! Too little natural light will cause your cortisol hormones to be higher at night. This reduces the melatonin your body produces. Get outside, even on a cloudy day! This is especially important in the morning. It helps to cue your body that it’s time to produce cortisol and stop making melatonin. Going outside it great for lots of other reasons too- for another fantastic benefit of being in nature, check out my post on the life-changing health benefits of grounding. Stretch when you wake up in the morning! Stretching is a great way to get your blood flowing, start to detox, and feel more awake. Staying active and moving throughout the day are also great ways to make sure you’ll fall asleep and sleep well that night. Get your exercise between 6 am and 10 am for the best results. Morning yoga should involve a lot more moving, stretching, and twisting than yoga done to relax at night. This can help you feel awake and ready to take on the day! If you want to learn more about how being active and doing yoga can help you get more energy, check out my post on natural energy boosters. Again, supplements aren’t meant to make up for a full night of sleep, and you still need sleep even with supplements. Sleep is important, y’all. That being said, there are a couple of great supplements I can recommend if you want more energy throughout the day– with no crash! VitaminB12, cordyceps, acai, and spirulina are all great options for naturally boosting your energy and stamina. For more on natural energy supplements, see my post on how to get a natural energy boost! Another way to signal your body that it’s time to detox in the morning is by drinking water with some fresh lemon or lime. There’s also a recipe for an even more cleansing morning detox drink in the guide below! Eventually, this drink can help you replace caffeine as well. Caffeine seems like it helps to kick-start your day, but weaning yourself off caffeine can actually help you sleep better. Eventually, you won’t need it at all to have energy throughout the day! If you want to try reducing your caffeine intake for better sleep, you can try substitutes such as matcha, tea, dandelion root coffee, or Maca to help with the adjustment. You can also check out the recipe for my delicious, all-time favorite natural coffee substitute. Also, make sure you’re getting enough water throughout the day! I carry my stainless steel water bottle literally -everywhere- to remind me to drink. Although it would be nice to just get a good pillow, a drop of essential oil, and suddenly find yourself sleeping better, a lot of sleep issues are due to chronic diseases and unhealthy lifestyles. If you’ve been dealing with a lot of stress, anxiety, conflict, or worry, think about what is triggering those emotions. Then treat that, don’t just focus on the symptom of not sleeping well! Stress and anxiety can cause disease and infection to spread in your body. This is another good reason to focus on self-care: including the deep breathing exercises, meditation, and yoga mentioned above. There are vitamin and mineral deficiencies that can cause low energy and low-quality sleep, especially Vitamin B-12 and Magnesium. Even when taking supplements, sometimes the body doesn’t absorb the nutrients it needs. If you think you may be dealing with an absorption issue, chronic infection, or autoimmune disease, see a functional health doctor that can help find the root cause of your sleep issues. Parasites, infections, and many other conditions can cause fatigue. You might need to treat those issues before your sleep gets back to normal. Remember how we were talking about Wi-Fi and how EMIs can disrupt your sleep? Well, geopathic stress is lines of a distorted or disrupted electromagnetic field that can affect human health. It comes from EMF pollution, mineral deposits, water lines, pipes, highways, and other sources. If you’ve just moved and notice that you’re unable to sleep, try moving your bed! Moving it over just two feet can help if you happen to be positioned over a geopathic stressor. The body’s endocannabinoid system helps maintain homeostasis and regulates sleep, pain, appetite, mood, and other functions. Our bodies produce cannabinoids, but sometimes they need a little help. Toxins, chronic stress, and other factors can cause a deficiency in cannabinoids, and that’s where CBD oil comes in. CBD oil can be used for aches and pains, brain fog, anxiety, regulating the immune system, and improving sleep quality. CBD helps you sleep better in a few different ways- by helping with any pain issues that have been keeping you from sleeping well, reducing anxiety and insomnia, and regulating the immune system so that your body does a better job of healing at night. All of these can help get the endocannabinoid system up and working on its own. I get all of my CBD from Restorative Botanicals– they have a great selection of high-quality, effective, all-natural products that really work. There are salves for pain, different types of infused CBD oils, yummy caramels, CBD for pets, and more! I’ve used their products to help especially with my anxiety. The folks at Restorative Botanicals are also super helpful about finding you a type of CBD that’s perfect for your specific needs! And if you like saving money on high-quality CBD products, use code HOPEFUL15 for 15% off your purchase from Restorative Botanicals! Everyone needs different quantities of CBD, so start off low (around 10mg per day) and go from there. And don’t take CBD right before bed- it can activate your brain, exciting thoughts and making it hard to get to sleep. Take your dose around 2-3 hours before bed. We’re not just a simple machine- we’re incredibly intertwined, as body, soul, and mind. Embracing a holistic lifestyle is important if you want to see lasting results. Every part of us affects every other part. With trying to sleep better, for example, you can optimize your results by eating a whole food diet. These are good foods for sleep but this type of diet also helps feed the good bacteria in your gut. Eating the wrong things (processed foods, foods sprayed with pesticides, etc) feeds the bad gut bacteria. Your overrun gut then communicates with your brain. Or you might need to balance your adrenals. Doing so will help your fight or flight reaction to stop lighting up when you’re trying to sleep. It would be hard to talk about every single thing that can affect sleep and how to fix it. We were created to be interconnected and complex creatures. If you want to go further, you can sign up for my newsletter below to receive my free guide on reducing toxins! Removing toxins from your home and body can help with detoxing, mood boosting, and getting better sleep. And in my newsletters, I’ll be sharing more info on how to pursue natural, healthful living. All these things can come together to help your body recover, sleep better, and feel great! Throughout this post, I’ve mentioned a lot of recipes you can use to help you get better sleep. The recipes don’t fit into this post (it’s already long enough! ), so I’ve put them together into a free mini eBook! These are such helpful tips! Nothing works if sleep is broken! Our bodies need it! Absolutely! It’s not a weakness- we’re created to need it! It was a hard habit to make but I shut off everything technical thirty minutes before bed and read- works well! That’s a great habit! I’ve gotten bad at looking at my phone right before bed. Thanks for the reminder! Great tips! The best things for me are white noise and my organic memory foam mattress! I didn’t even know they made organic memory foam! That’s awesome!! I have had chronic insomnia for decades and have run the gamut on cures and spent a fortune doing it! I actually do (or have done) everything you mention except being checked for sleep apnea. That might just be my next step. Thanks! Wow! I hope you find something that works great for you soon!